On Thursday, March 30, the Florida Securities Dealers Association will host an Outreach Program titled “Emerging Trends in Cybersecurity Regulation & Cybercrime – What the Florida Securities Industry Needs to Know” in the Miami office of Shutts & Bowen. Partner Kevin D. Rosen, a former FINRA Enforcement Senior Regional Counsel & Cybersecurity Regulatory Specialist, will present at the event along with Robert Villanueva, Q6 Cyber Executive VP and retired US Secret Service Cyber Intelligence Section Founder. The event will cover various topics of cybersecurity, including cybercrime and threat intelligence, the intensified cybersecurity focus of securities regulators, and the rising sanctions for cybersecurity violations. Financial institutions, securities firms and investment advisors will have the opportunity to garner information about cybersecurity and the evolving regulatory environment, and how cyber criminals monetize stolen information in the DARKNET. To register for the event, please visit www.floridasecurities.com. 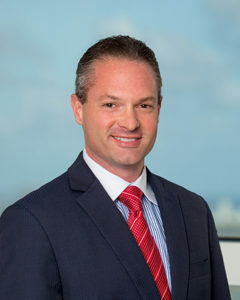 Kevin D. Rosen is a partner in the Miami office of Shutts & Bowen, where he is a member of the Financial Services Practice Group and the Cybersecurity and Data Privacy Taskforce. Kevin focuses his practice on cybersecurity, privacy, data security, securities regulation, and financial regulation. Kevin is an International Association of Privacy Professionals Certified Information Privacy Professional/United States (CIPP/US) and a FINRA Certified Regulatory Compliance Professional (CRCP).